Today is a good day: after months of hiding and testing and shooting, I get to open the floodgates—hello Fujifilm X100F. If you’re wondering about the title to this review, it's actually a bit of trivia: for months, anyone testing this camera has lived with the code-name Aquarius; cue the 5th Dimension, bell-bottom jeans and long flowing hair. Well, I don't know about a new zodiacal era...but we've clearly entered the Age of Refinement. If you've been following this blog for any amount of time, you probably know how important the X100 line is to me: I entered the world of the X-series before the X-series even existed...with the original X100. I won't revisit the story—I've written and talked about it often enough—but let's just say it was an encounter that proved instrumental in terms of both inspiration, direction and career path. What's most impressive about that initial camera, looking back, is the strength of its identity and philosophy straight out of the gates. Yes, it was based on proven, timeless designs. But it also introduced important features that have since become the hallmark of the X-series: the hybrid viewfinder, the EVF, the film simulations; it included the leaf shutter, the built-in ND filter. In other words, this was an object that—in terms of concept and vision—arrived fully formed. In fact, I'd even venture to say some of its concepts were a few years ahead of the technologies themselves—I'm looking at you, tiny and laggy EVF circa 2011. Boy have we come a long way. When the X-Pro1 was launched a year later and the X-series introduced as a system in its own right, it became clear the X100 had served as blueprint—and we haven't looked back since. In my mind, every iteration of this camera has a label assigned to it, a standout feature that distinguishes it from its predecessor: the S brought the X-Trans sensor; the T brought Classic Chrome. As soon as I unpacked the F, I had an immediate gut reaction to the camera itself—it felt...tight. Strange choice of words perhaps, but as close as I can get to explaining my first impression. The bodies of the X100 cameras always felt solid and high end to me, but some of the buttons and latches would sometimes break the spell—a slight wiggle here, a less than optimal finish there. Never a deal breaker but always something I'd be aware of. The X100F is like a carefully refined version of the camera's initial concept: every button and dial has been machined to a higher standard. The command-dials (yes, plural) are now metal instead of plastic; the D-pad is bigger and similar to the X-Pro2—it even sounds different when you click it...lower pitched, fuller. The camera is slightly larger (maybe has to do the extra heat generated by the new sensor/processor?) but you have to look long and hard to tell the difference. The F is a tiny bit deeper then the T.
The refinements also extend to the layout and ergonomics as well. 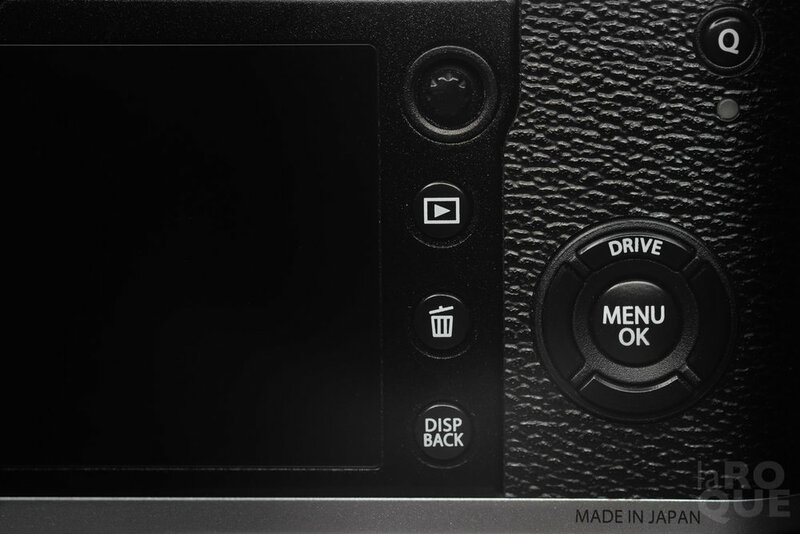 Again, like the XPro-2, all buttons have been moved to the right-hand side of the camera, extending the LCD all the way to the left and making the camera entirely controllable with a single hand. This also (finally) takes the three current flagship X-series cameras as close to a standardized layout as we've ever had—and the upcoming GFX50S will follow the trend. A lot of us have been waiting years for this moment and it's incredibly satisfying to see the day is finally here. The X-series is all grown up. This simulation is the best example of how important (and serious) the feature has become. Film simulations in these cameras aren't just filters applied on top of an existing file: they're finely tuned algorithms that work in tandem with the processors, the sensors and the camera's settings when creating the files. Yes, they're JPEG only. But the resulting images you can get out of a Classic Chrome or Acros simulation in-camera can be astounding. Having Acros on an X100 is like loading your favourite BW film on your favourite 35mm rangefinder...it made total sense on the X-Pro2—it makes ridiculous sense on the X100F. 2. ISO: top, front, all around. By now you've all seen it: the shutter dial on the X100F doubles as an ISO dial by pulling up and rotating. A lot of folks will like this I'm sure, but the camera has a second, less obvious trick up its sleeve—the A setting. Just as expected setting the dial to A enables Auto-ISO, but it also allows for ISO to be controlled by the new front command-dial: under BUTTON-DIAL SETTING in the Set Up menu, you'll find a new item labelled ISO DIAL SETTING (A). Set this to COMMAND and you can now change ISO without taking your eye off the viewfinder. Best of both worlds in my book. And here's a bonus tip (courtesy of my buddy Derek Clark during a Slack conversation a few days ago): the front command-dial also controls exposure compensation when it's set to C (also allowing 5 stops instead of 3). If you have both enabled (A on the ISO dial and C on the Exp. Comp dial) then pressing on the front dial switches between the two. I can get used to absolutely anything...and I did. For years I used AF on the X-series and I knew each and every time I'd press the shutter the camera would go through the motions again and refocus again. So if I needed to stay in the moment, I'd either switch to manual or lock it down with AFL. But then Fuji gave us the X-Pro2 and the world suddenly became a little brighter: I could finally keep the shutter half-pressed and shoot to my heart's content, for as long as I wanted, and the thing would just keep up—no more refocusing. Valhalla. Problem is, it spoiled me: anytime I'd pick up an older model, I'd instinctively expect the same behaviour and...well...a few curse words would usually leave the confines of my lips. 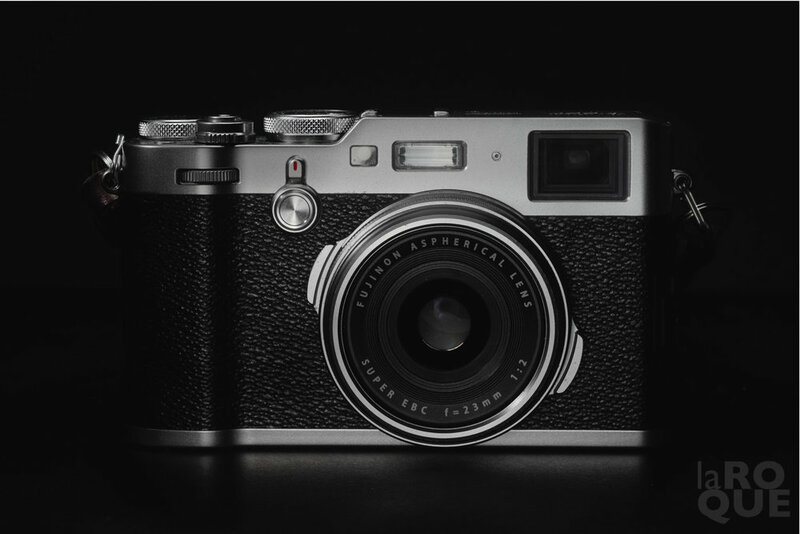 Not anymore: the X100F incorporates the new generation AF. 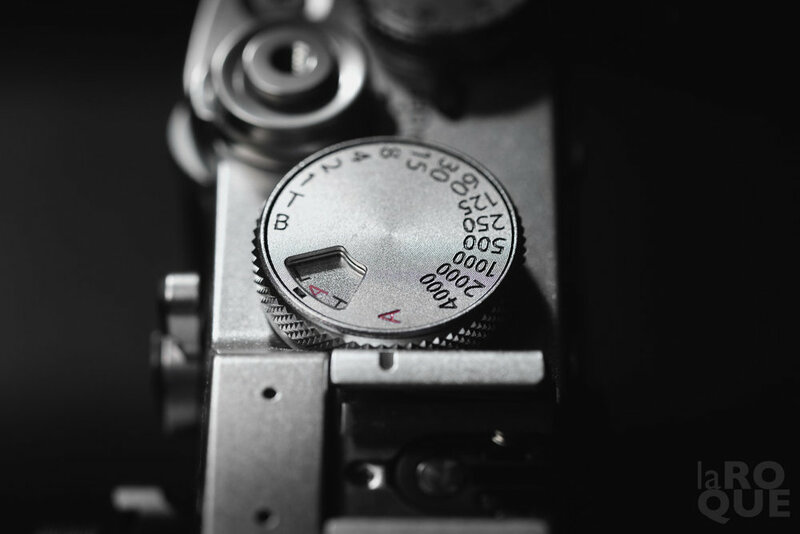 It even goes further, displaying the AFL-EL symbol in the viewfinder as long as the shutter is kept half-pressed. Nice touch. There's no getting around this one: going back to a camera without The Joystick is painful on the reflexes. Have to mention it. And the clouds parted, and it was good. Of course this means I now need more batteries…hmm. Nah, still happy. At long last: we can set minimum shutter speed all the way up to 1/500s when using Auto ISO. A first for an X100. A huge addition: the rear command dial is now assignable—it's an FN button like all others. Fun right? Hmm...better than fun. You know how your thumb sits riiiight on top of that dial when you're shooting? If only it could be set to back button focus...oh wait: tada! AFL-AEL is now an assignable function. So not only can we use the rear command dial to back button focus in manual mode, we can set this to any other FN button on the camera. Yup, this will quickly spoil you as well. Which leads me to the more "holistic" standout feature of this camera: what I like to call Fluid UX (not official, I totally made this up). The X100F is by far the most customizable X-series camera to date: we get more assignable functions and more buttons to assign them to. Some will perhaps argue it leads to complexity but when it comes to tools, there's something to be said for adaptability. The ability to set a camera according to our own needs and work requirements can only lead to less friction and more instinctive shooting. I'm still smitten with the physical experience of the X-series and this isn't likely to ever change—it's the whole point. But adding quick access to functions beyond the basics, allowing us to decide which ones matter... it's a great move. These cameras have always felt personal and this only serves to strengthen that bond. I'm hoping we'll get this same set of options on every existing flagship via firmware updates eventually. Along with the layout standardization I mentioned earlier, this'll make it much easier to move from one body to another. Long live the Fluid UX. Obviously, the usual advances are here as well: faster performance, more AF points (325), X-Trans III, X Processor Pro, more megapixels (24MP)...essentially—in terms of guts, specs and features—a baby X-Pro2 with a fixed lens. The elephant in the room: weather sealing. Something I think a lot of us were expecting after the last few releases. I'm sure Fuji were well aware of the expectations out there and would've loved adding that bullet point to the list—its absence apparently has to do with keeping the size and cost down; the economics of features are always a delicate balancing act. WR adds peace of mind to be sure, but honestly I've lived and shot and traveled with every X100 and have yet to run into a problem. Don’t get me wrong, it would’ve been great. But we’ll just need to keep treating the F with the same care we’ve shown it’s predecessors. The placement of the Q button, which is now where AEL-AFL used to be. I’m not crazy about this 1) because I often trigger it by mistake and 2) because it’s…where AEL-AFL used to be. Now, in terms of focusing I happen to prefer the rear command-dial so for me that’s not a huge issue—but I know it will be to some of you. In the spirit of that Fluid UX I suggested, I’d eventually like to see the Q button treated as another FN option, including the ability of disabling it entirely. The focus ring now doubles as a Control Ring—just like the X70. It also features the same digital zoom possibilities of either 50mm or 70mm. I love the idea behind this (I’ve argued before about having zoom lenses that could be locked to specific focal lengths). It’s useful in a pinch but it IS a digital zoom…which means it does degrade the image. The Control Ring can also be assigned to White Balance, Film Simulation or some sort of automatic mode called Standard. This is all fine. My only problem with it is the fact that it can’t be disabled right now, which again leads to accidental triggering: quite a few times I’ve found myself raising the camera to my eye only to realize I was zoomed in. But this is an easy fix I’m sure we’ll see in an eventual update. And FYI: the feature only works in JPEG mode so shooting either RAW or RAW+Fine makes this a non-issue. 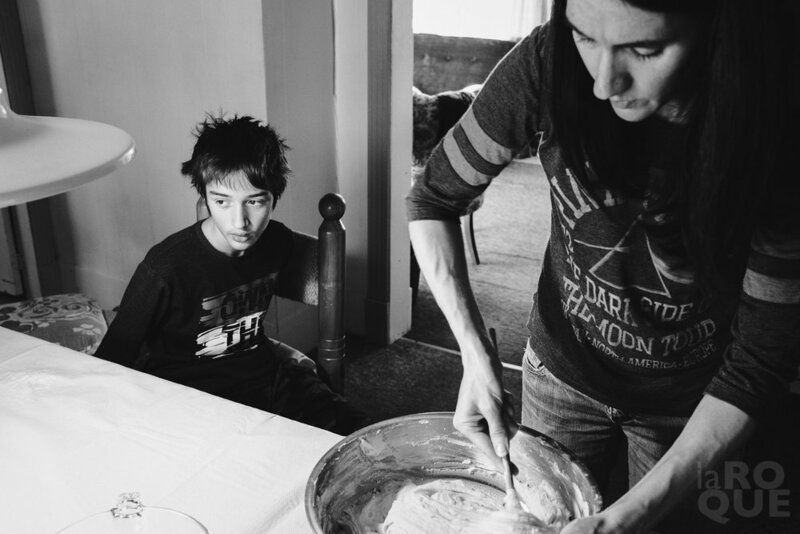 We're at an important juncture: the young, scrappy and dishevelled system is now mature. A year ago I was in Tokyo, welcoming the award-winning X-Pro2 and celebrating the X-series' fifth anniversary. I look at the releases since, the class of 2017, the new frontier of the much anticipated GFX50S; I look at the way all these experiments have come together, how the various designs have evolved and coalesced...it's hard not to feel exhilarated. But at the end of the day, certain truths remain that won't be denied: the X100 is and always will be my perfect storytelling machine—and the X100F takes us to an entirely new level...again. If you're looking for other reviews be sure to check out my friends Derek Clark, Kevin Mullins, Jonas Rask and Ian McDonald. I'll be sharing images through Instagram on my own account as well as KAGE's (with Kevin and Derek). You'll also find more essays right here—I did mention opening the floodgates didn't I? X100F: Street & iteration—a sequence. X100F: Ice, driving...a short sequence.